A regional oil study that utilizes the detailed geochemical analysis of a representative suite of samples is an excellent way of identifying, evaluating and comparing the various petroleum systems that have contributed to the reserves of a large area. All oil samples are analyzed using a sophisticated suite of analyses including determination of physical properties (API and weight percent sulfur), gas chromatography, stable carbon isotopes, and gas chromatography/mass spectrometry. In order to maximize the benefits of this approach, the geochemical results are then integrated within a meaningful geologic framework. All GSI studies are presented in both analytical and interpretive formats to insure that all findings are accessible to explorationists and research personnel. 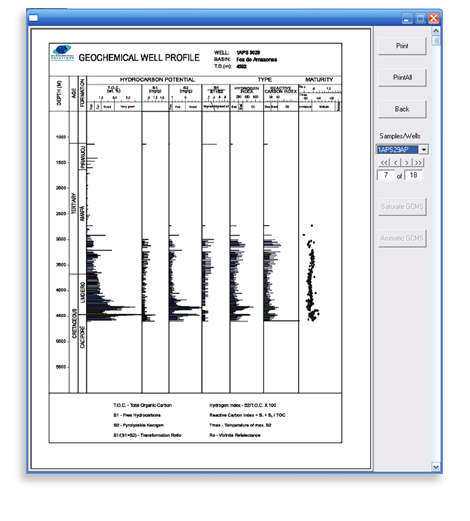 All geochemical data are provided in electronic format. 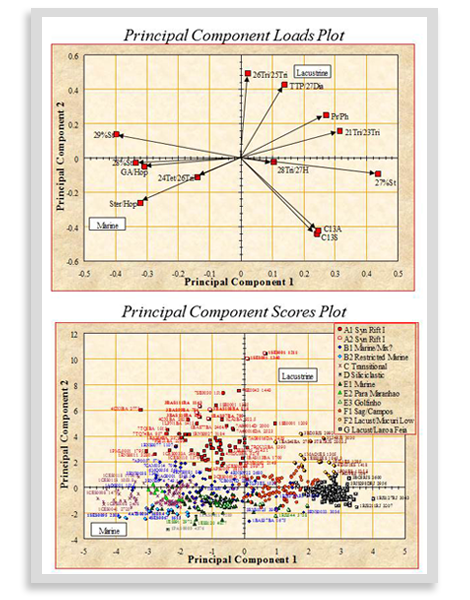 A synthesis and interpretation of all information is presented in comprehensive final reports. Below are examples of deliverables that are included within a non-exclusive report. For information regarding where our 40+ reports are located, click here. 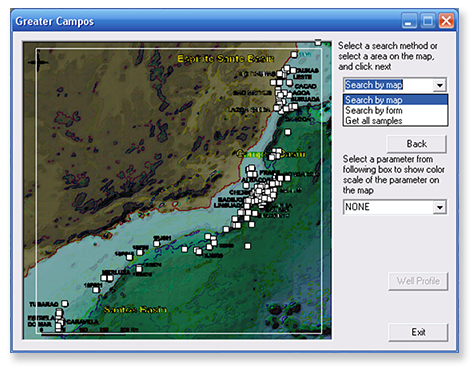 The geochemical data are incorporated into a GIS project and interpreted within a petroleum system context. 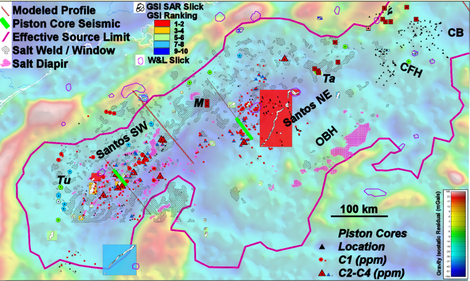 In the example shown here, geochemical anomalies from piston cores and SAR slicks are combined with crude oil and cuttings data and displayed on a gravity isostatic residual image (DIGS) with salt diapirs and welds in the Santos Basin. 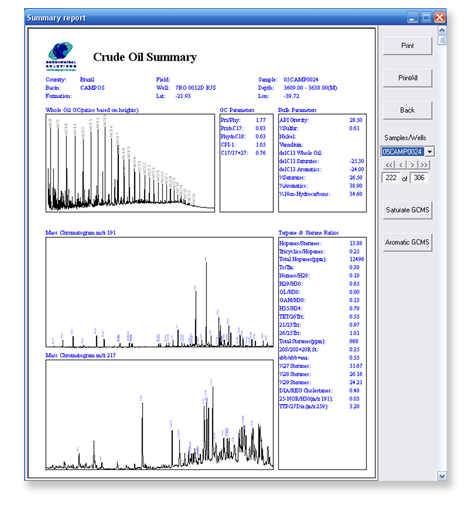 Multivariate statistical techniques such as Hierarchal Cluster (HCA) and Principal Component (PCA) analyses are used to identify compositionally similar groups or families of oils. The geochemical characteristics of these different oil types can be used to determine likely origin and establish oil-oil correlation. 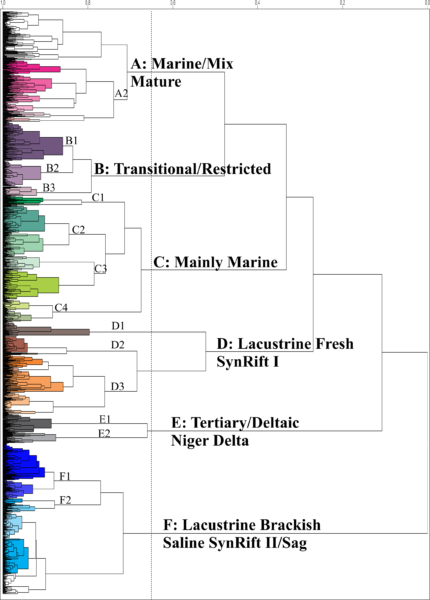 Multiple iterations applying a series of source dependent variables have been performed in the South Atlantic Margin in order to distinguish pre-salt lacustrine derived oil from post-salt marine oil. Oils of mixed heritage and those considered as ‘outliers’ can also be identified. New variables based on the source dependent geochemical data are compared in PCA loads plots and the corresponding PCA scores plots can be used to determine source environment (lacustrine versus marine versus deltaic in the example shown) as well as assess relative maturity and the effects of post-generative alteration process such as biodegradation.